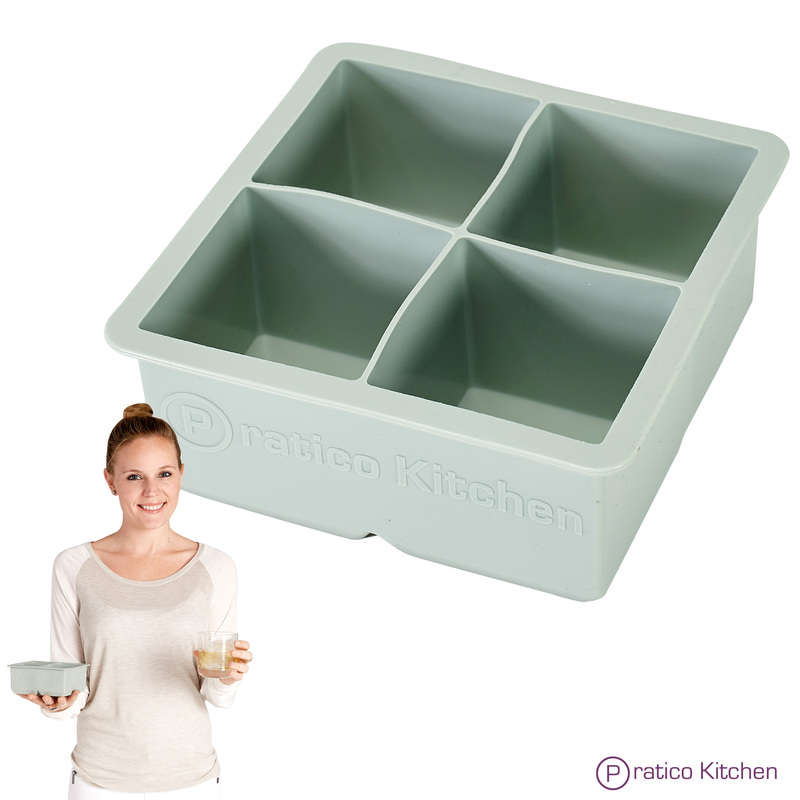 I just got these great silicone ice cube trays from Pratico Kitchen and I love them. These things are great! Instead of traditional ice cube trays made from plastic these are made from silicone so the ice cubes don’t get stuck. They just come right out of the tray with little to no effort at all. How many times have you spent 10 minutes trying to wiggle that plastic tray around and pop out those ice cubes? Not with this one, they just come right out! The other thing I love about these ice cube trays is that they are a good size and squares. You really only need one cube for your drink. This is really nice because you don’t go through as many ice cubes. These trays are really high quality and long lasting ice cube trays. I don’t know how many times I’ve broken one of those plastic trays just trying to get the cubes out! These are silicone and flexible. They are thick silicon that won’t tear or break at all.